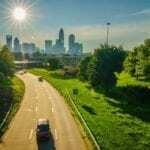 If you’re in the technology industry and thinking about relocating, take a closer look at Charlotte. 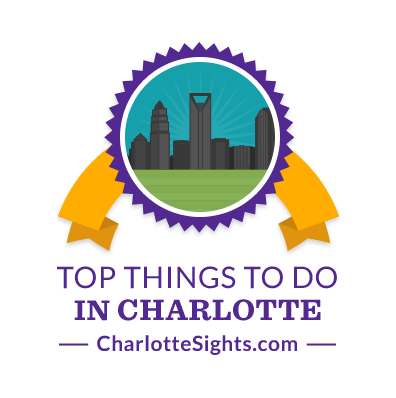 Recently crowned by the Computing Technology Industry Association (CompTIA) as the number one city in the nation for technology professionals to live and work, the Queen City is more than just banks and NASCAR – it’s THE hot spot for Techies! The 2018 CompTIA Tech Town Index breaks down the best places for IT Pros to live and work. The Index looks at 20 metropolitan areas with populations over 250,000 with high technology demand. The index was created to help “IT pros make educated decisions about where to live and work based on opportunity and opportunity costs.” Cities are ranked based on cost of living, number of positions, and projected growth over the next one to five years. “Ultimately, the index proves you don’t have to move to Silicon Valley to find and advance in a tech career,” says CompTIA. Several North Carolina cities were crowned Top Tech Towns. Charlotte earning first, Raleigh close behind in second, and Durham at no. 15, were all up against major cities including Atlanta, Boston and San Francisco. While other major cities like San Francisco and Washington might have ranked higher in the number of job ads and location quotient, Charlotte’s cost of living and median hourly earnings were substantially better, pushing the Queen City in first overall tech town. Another major factor that helped nab Charlotte first on the index, was the growth rankings. CompTIA ranked Charlotte no. 3 overall in both the one and five year percentage growth rank. With 11 percent expected growth in IT jobs over the next five years and an $87,755 median salary for IT pros, CompTIA forecasts major opportunity for the Charlotte area. According to CompTIA, Charlotte is also recognized as a major banking center with more banking resources than any other city in the nation, second only to New York City. Much of Charlotte’s wealth is driven by the big hitting financial institutions that are headquartered in Charlotte. According to the Q4 2017 Charlotte Chamber of Commerce’s Information Technology Report, the Financial Technology sector takes up 11 percent of Charlotte’s technology talent and has emerged throughout about 40 firms in the Charlotte region. The Chamber of Commerce reported that between 2011 and 2016, employment tech talent occupations grew by more than 77 percent. “With a large concentration of financial services and health care institutions, the Charlotte area is poised to take advantage of technological innovation in many industries,” the Charlotte Chamber states. In addition to more than 44,000 IT job postings between August 2017 and July 2018, Charlotte’s cost of living is 1.3% lower than the national average with employees being paid $3.61 more per hour according to CompTIA. With more than 1,700 core technology-related degrees and certificates awarded annually according to the Charlotte Chamber, it’s no surprise that a younger tech-savvy generation is slowly taking over Charlotte. If you’re in the technology sector, settle into the Queen City now before the competition beats you there!